Hello, everyone! I write to you from a beautiful boutique hotel in Portland, Oregon. I left Vancouver on August 8th which feels like two weeks ago but it's only been four days ah! To keep up with all the cities I am visiting this month, I thought it would be time to wrap up Vancouver and share some of the places I visited and photographed. I went to so many more places so please do not hesitate if you are curious about a sushi place or whatnot. This restaurant/bakery was just a few steps away from my Airbnb rental in West End. On top of offering delicious baked goods like Chinese cheesecakes and an exciting array of savory options like basil chicken popcorn, 3 Quarters Full happens to use 49th Parallel coffee beans. I liked the location which has plenty of seats. It is also pretty quiet which makes it great to catch up on a book or get some work done. BETA5 Chocolates is not a place you would stumble upon unless you meant to. Located in a very industrial area, they make everything you could hope for to answer a sweet craving: chocolate bars, candy bars, cream puffs, ice cream & so much more! On my visit, I tried the matcha candy bar along with the Cava sorbet and they were both delicious. I also picked up a few polygon bars including a white chocolate infused with Matchstick coffee beans. Make sure to not miss their #betatests if you're in town! 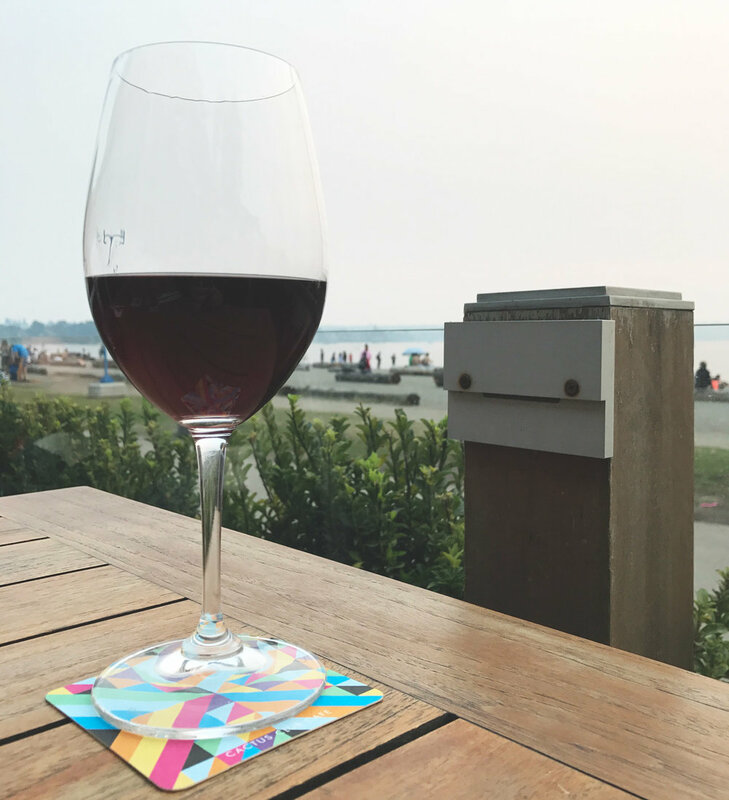 Yes, it's a chain but the English Bay location happens to have a great view on the water! Cactus Club Café actually impressed me with a cool selection of British Columbia wines and their 90's music because I'm old. If you wish to sit by the water for a few cocktails and order appetizers, check them out. For mains, look elsewhere! Oh, Chickpea!!! Previously known as a Vancouver food truck, Chickpea expanded to a big restaurant the same month I was staying in town. I'm not going to lie, it's a mess in there and it is quite obvious they just opened. But I could see a smile on every single employee's face during my visit and the food -- oh my god. The restaurant is fully vegan and offers an extensive menu that feels a bit stressful because everything sounds delicious and you don't want to miss out. Well, I loved it all! The chickpea fries, the salads, the falafels, the hummus and even the house-made kefirs. So just go, okay? Most restaurants and coffee shops I visit these days are found through Instagram research but this one was a simple find while taking a walk in the neighborhood. Greenhorn is by far my favorite coffee shop in Vancouver. They offer plenty of gluten free options, make a solid americano and the vibe is just perfect. Plus all the locals bring their little dogs and I can't even! I know I mention Matchstick from Main Street but I truly enjoyed myself at both locations I visited. However, the one by Main Street is perfect for an Instagram session plus there's plenty of nice shops and restaurants to discover around. Matchstick impressed me because of the delicious house-made mylk they offer daily which is made of a mix of hazelnuts & cashews <3. Oddity Kombucha was such a fun place to visit. They offer Kombucha on tap to go or drink on location. 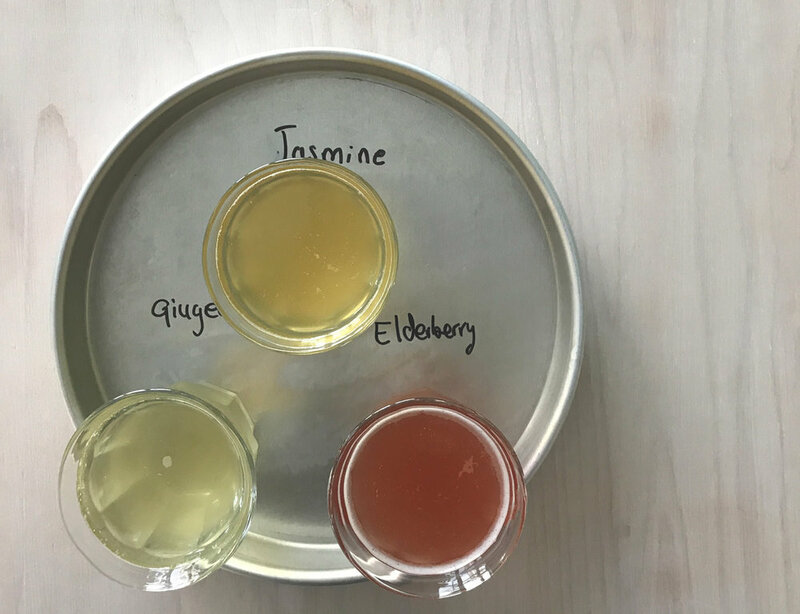 I opted for the flight and I can say that the Jasmine was my favorite. They also offer a bunch of bowls and snacks to enjoy with your drink. All that's missing is a little bit of music to feel like you're in a [sober] bar -- aka my jam. 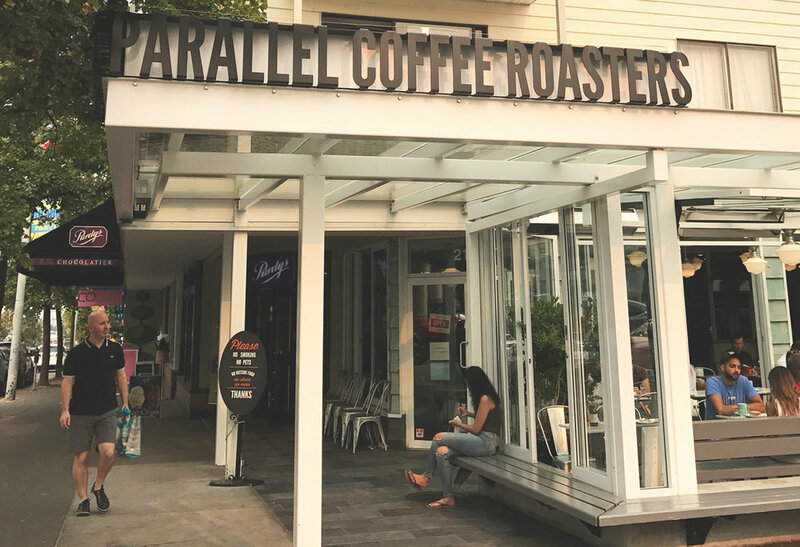 I finally got to visit 49th Parallel Coffee Roasters in Kitsilano after buying their coffee for years! The fact that each location has a Lucky's Doughnuts (it's their side project) makes it even more awesome. I had possibly the best doughnut of my life: a simple but perfect pistachio doughnut. To wash it down, I tried their special drink of the day: the Shakerato with espresso, house-made cashew mylk and cardamom served over ice. I also grabbed a bottle of their iced tea sweetened with stevia to enjoy on a later day! Revolver, located in Gastown, takes its coffee quite seriously with merit. Every single cup of coffee is made perfectly and there are plenty of options to find your type of beans. I tried a shot of espresso with tonic water and it was on point. 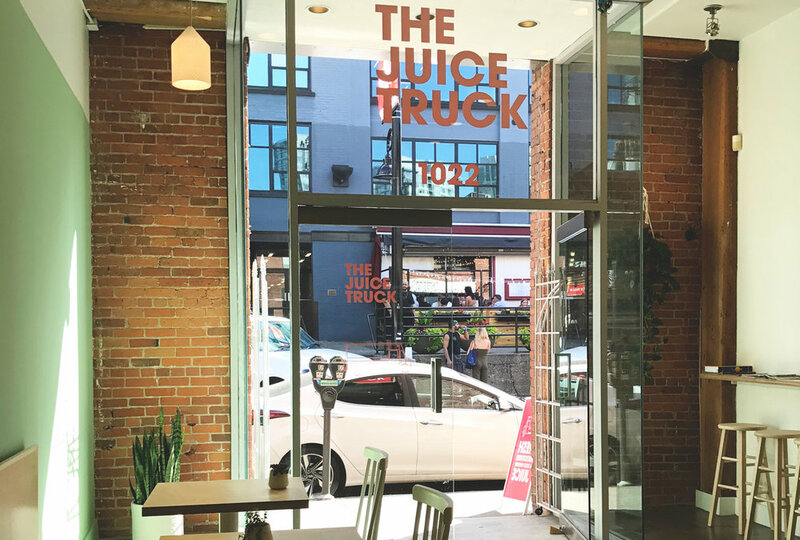 I visited The Juice Truck in Yaletown at the beginning of my stay in Vancouver. They have a nice space and interesting juice menu but I am growing tired of all the juice bars everywhere. Turf is both a restaurant and a gym that offers daily group classes. I stopped by after stalking their Instagram for a while and loved it! The food is quite healthy and they have a fun drink menu including iced golden mylk. 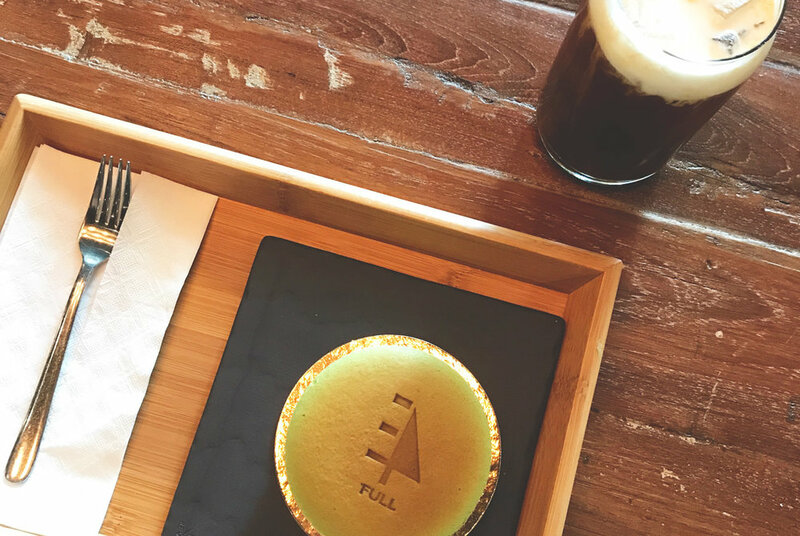 Located in Kitsilano, it's the perfect stop for food after checking out the area (and eating that doughnut earlier). That's all for Vancouver! I seriously fell in love with this city and will hopefully come back for long stays like I did in July. Look out for the upcoming Digital Nomad guide I will release for the city this month!